Holy Kunkka this is hard. DOTA 2 once again has a dedicated cooperative mode. It's also once again, limited in time. 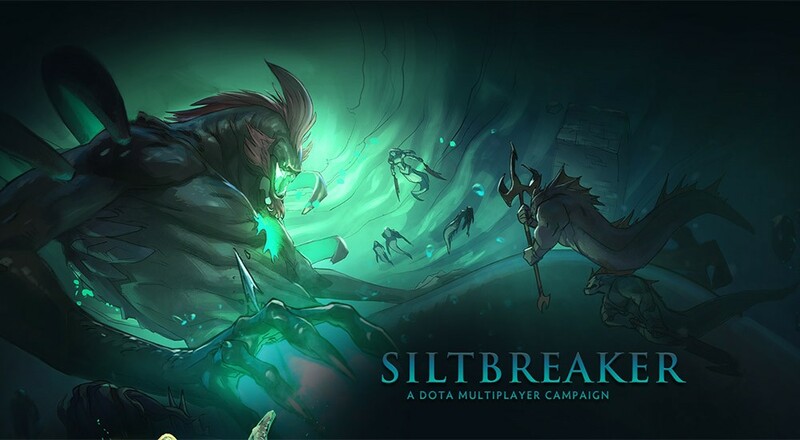 Available for purchasers of the 2017 International Battle Pass, it's called Siltbreaker, and we took it's four player co-op goodness for a ride the other night. It plays a bit like an Action/RPG in the same vein as Diablo 3, but with a limited roster of 14 DOTA 2 characters to use. You'll build a party of four, head out into a large map, and take on various quests with progress saved at various checkpoints. Players have limited lives which can be augmented by reaching a checkpoint. The mode is difficult to say the least. Constant spawning enemies block your path to objective completion, meaning there's little time to stand around and strategize. You absolutely have to have a balanced team that works together to progress or it's a quick death. Take a gander at some different perspectives as we attempt (and fail) before even defeating the first boss.